I finished this on Saturday and I’m blogging this on a Sunday. Will wonders never cease?! 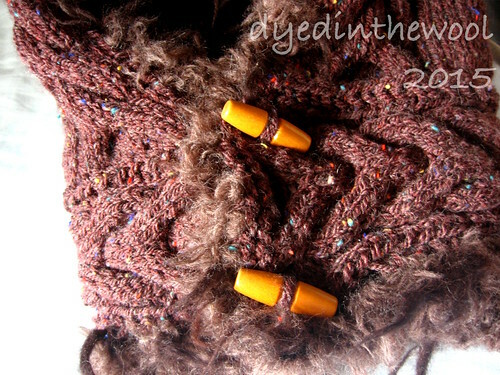 Pattern: My own, made up out of my own sick mind, by Me [My Ravelry Project Page]. Crab Claw/Antler cable from the Harmony Guide of 220 Aran Stitches. Sweet muppety Jeebus, this is warm! 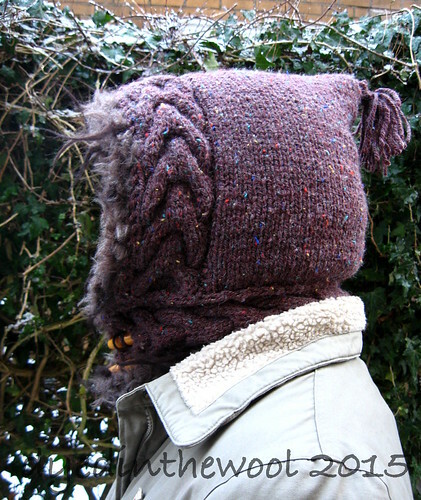 This may be the most ridiculous thing I’ve ever knitted. And I’m including the apple cosy in my calculations. 6 mm circ, 100 cm long and 7.5 mm circ, 80 cm long. I didn’t have a 15 mm needle for the CC so I used my 7.5 mm needle and wrapped the yarn around it twice, dropping the extra loop on the next row. Basically just made it up as I went along, with only a little mathematics involved! Cast on at the centre top, using Judy’s Magic Cast on, and knit down. 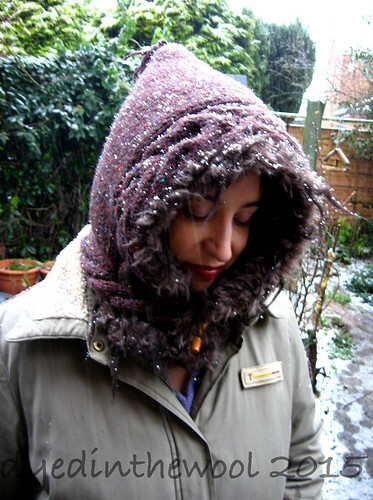 Cowl cast on at centre back (using temp crochet cast on) and attached by knitting it on with the live stitches from the hood. 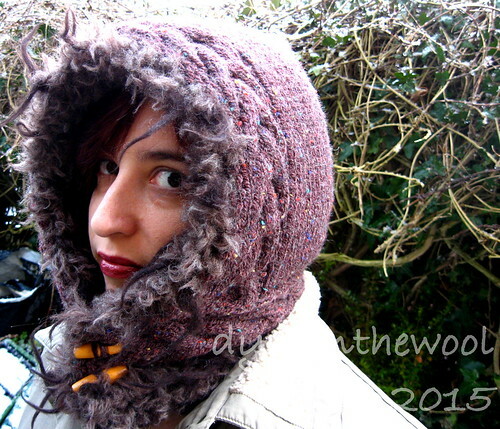 Liner is knitted in to hood. 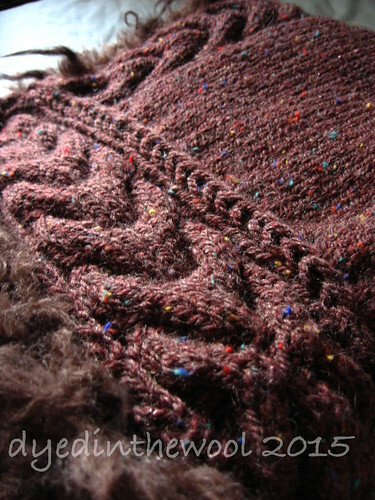 Inspiration came from (may the Saints of Knitting preserve me) twig, by Tiny Owl Knits.